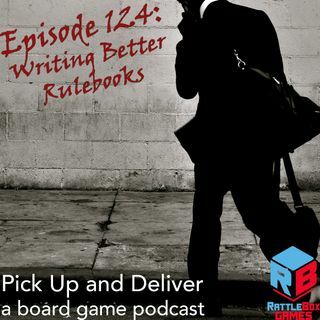 In Episode 124, Brendan shares some lessons he’s learned as he studied the particularly difficult-to-parse rulebook for A Handful of Stars. Have you had a particularly difficult time understanding something in a rulebook? How have other rulebooks solved the problem you were facing? Head over to Board Game Geek guild #3269 and let us know.